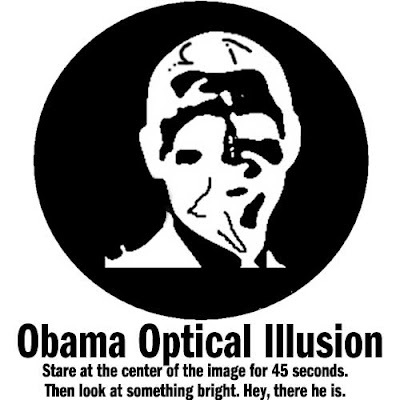 Amazing optical illusion - stare at it for 45 seconds then look at a bright area. Start Blinking Your eyes a couple of times and You will see a figure emerging. Obama magically appears! It's somewhat good, but I don't see Obama. I see Mr. Bean! Why would I want to see that?